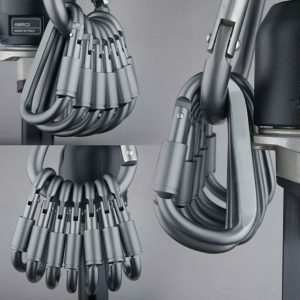 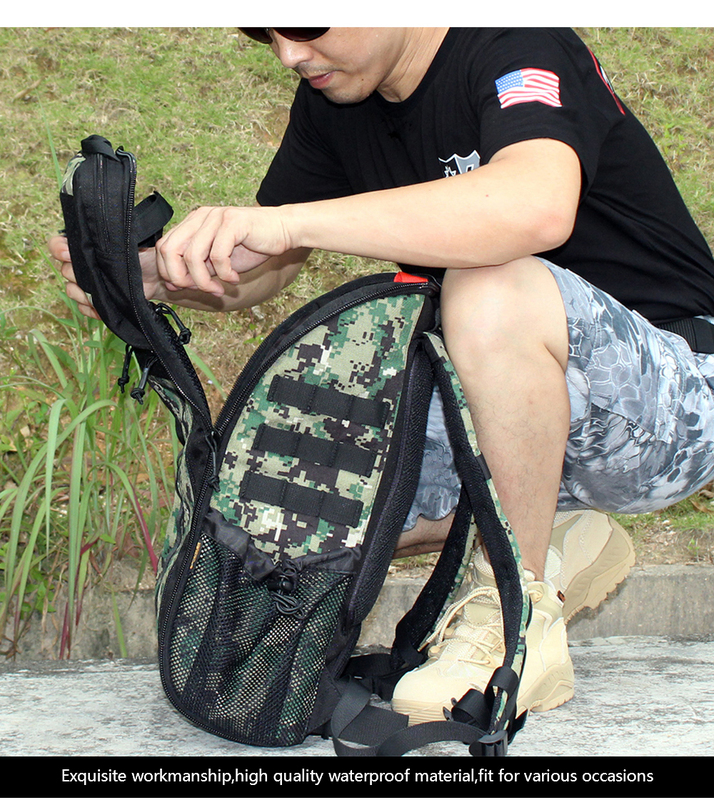 Constructed by durable 1050D nylon. 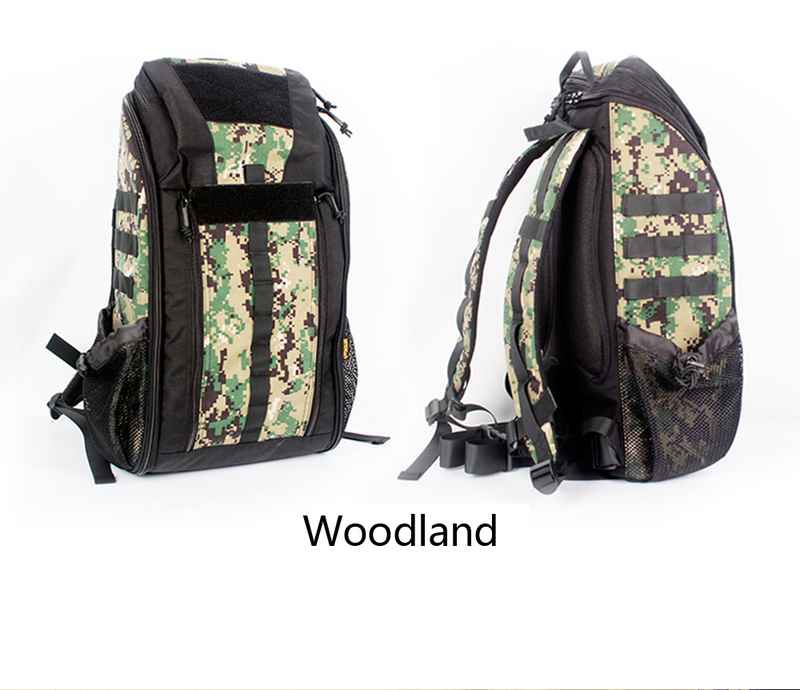 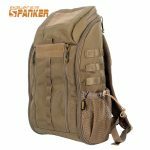 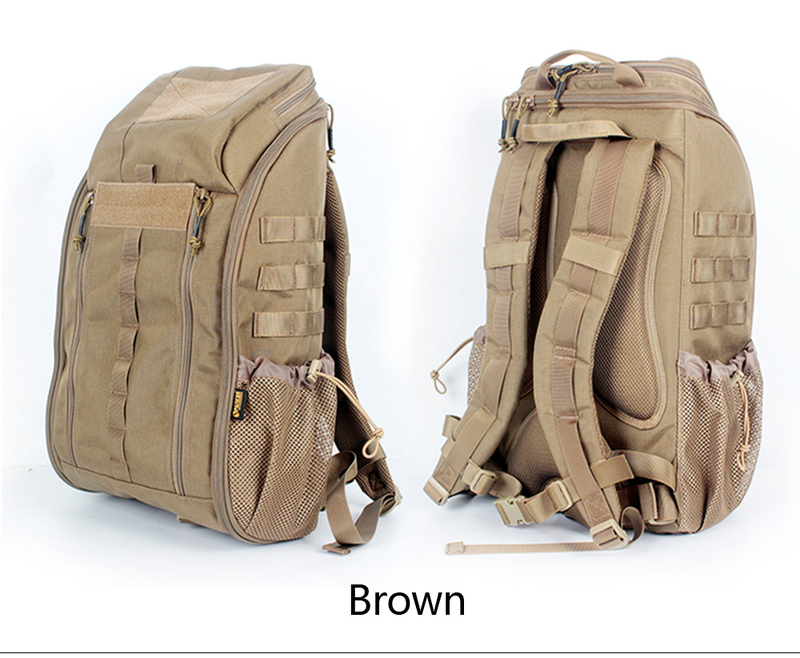 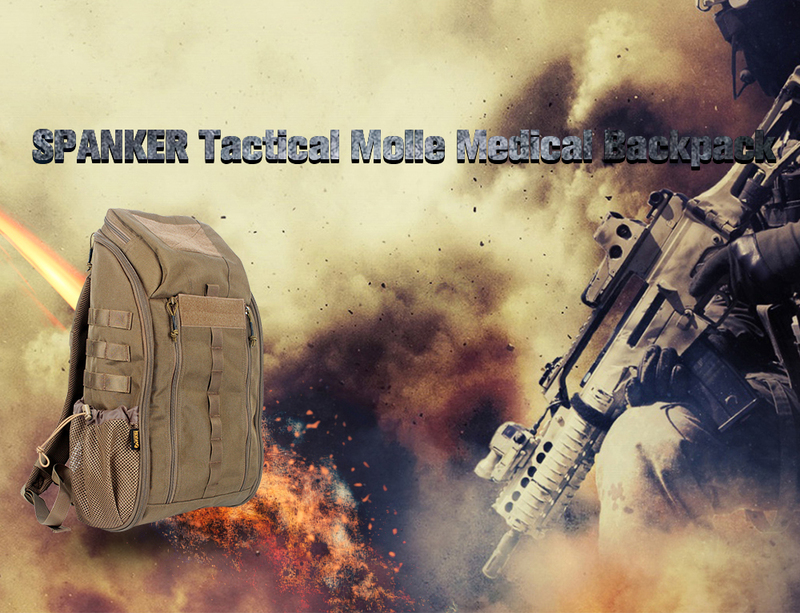 Molle designed on the front and both sides for easy attachment to other bags and combat tools. 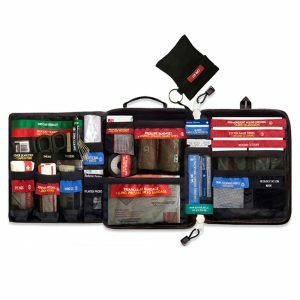 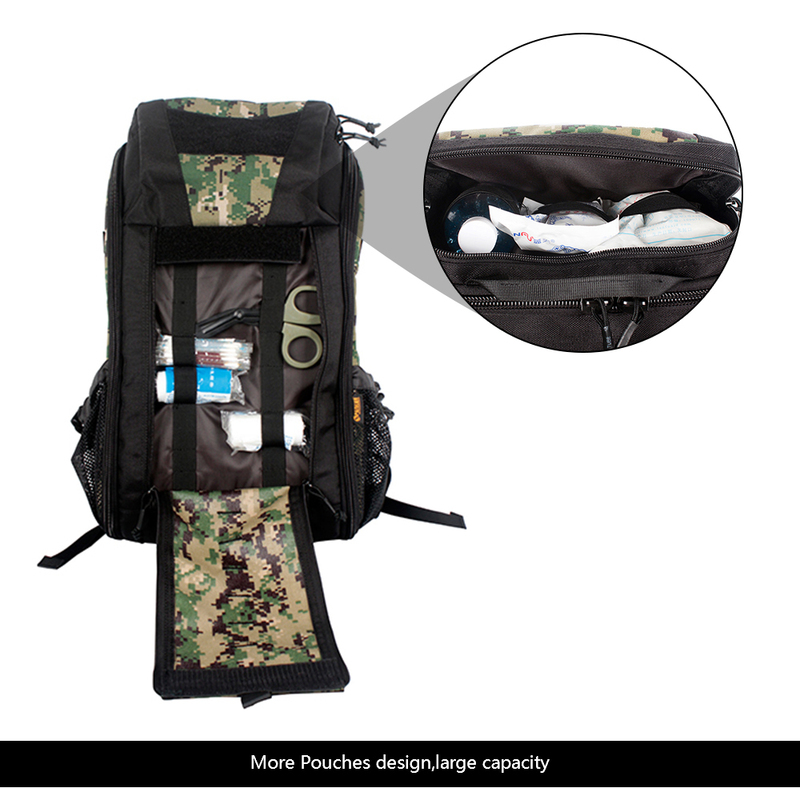 All pouches contain a zipper to open and close easily. 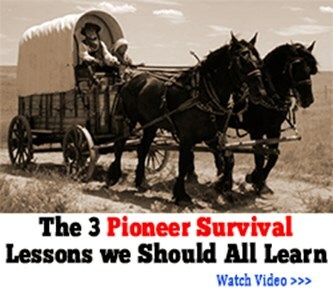 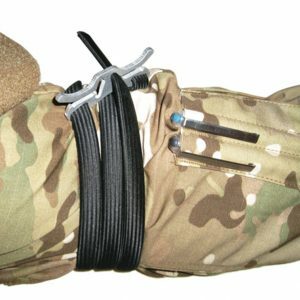 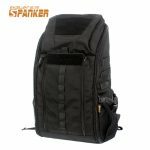 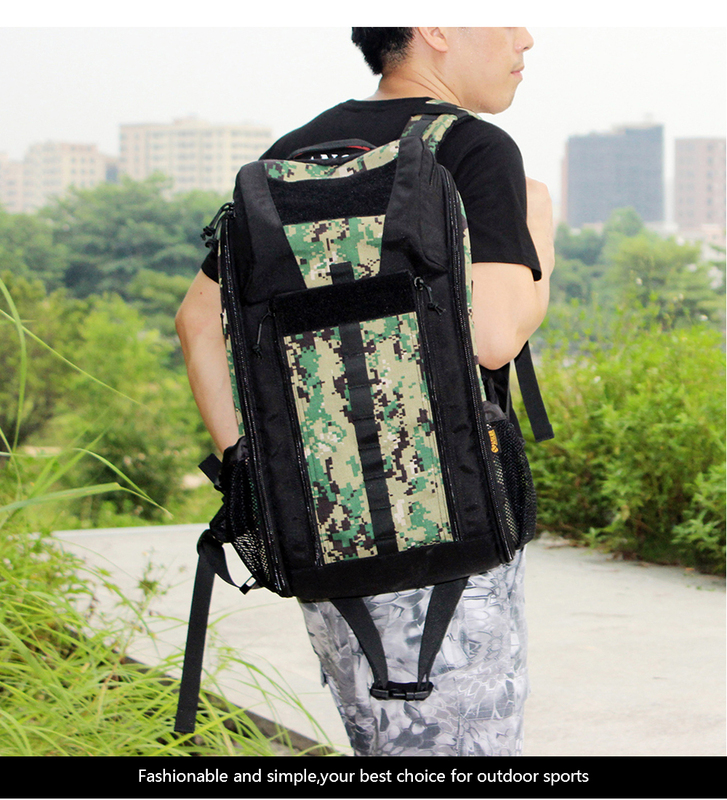 The Shoulder straps are padded and strong enough to take a lot of weight. 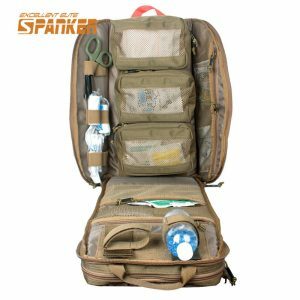 Many mesh small pouches included inside for different use. 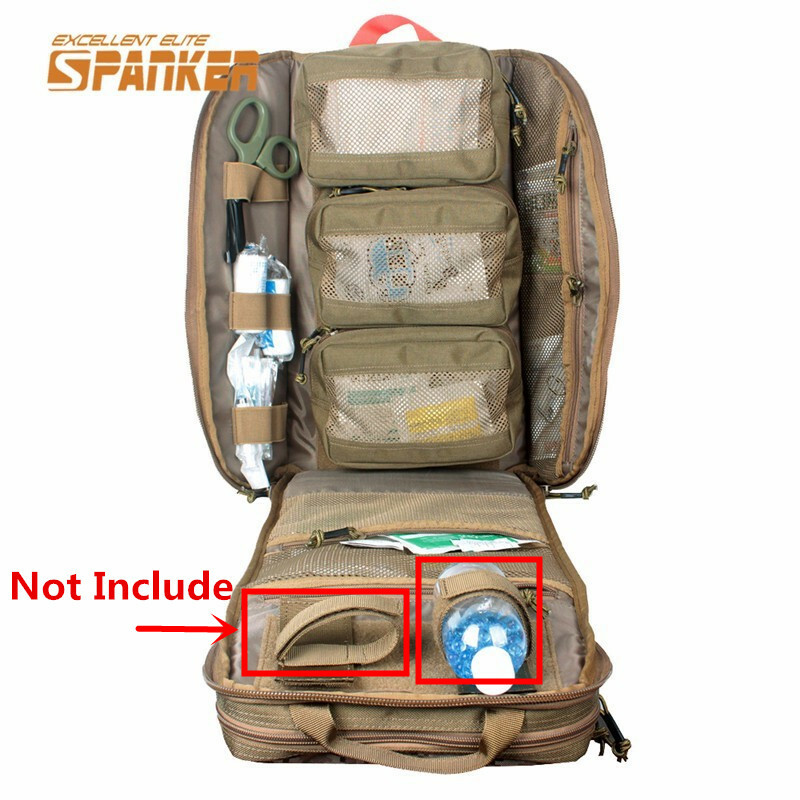 Two mesh pouches on the side can hold flashlights or water bottles. 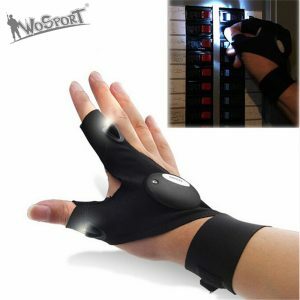 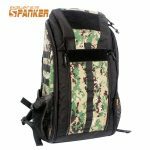 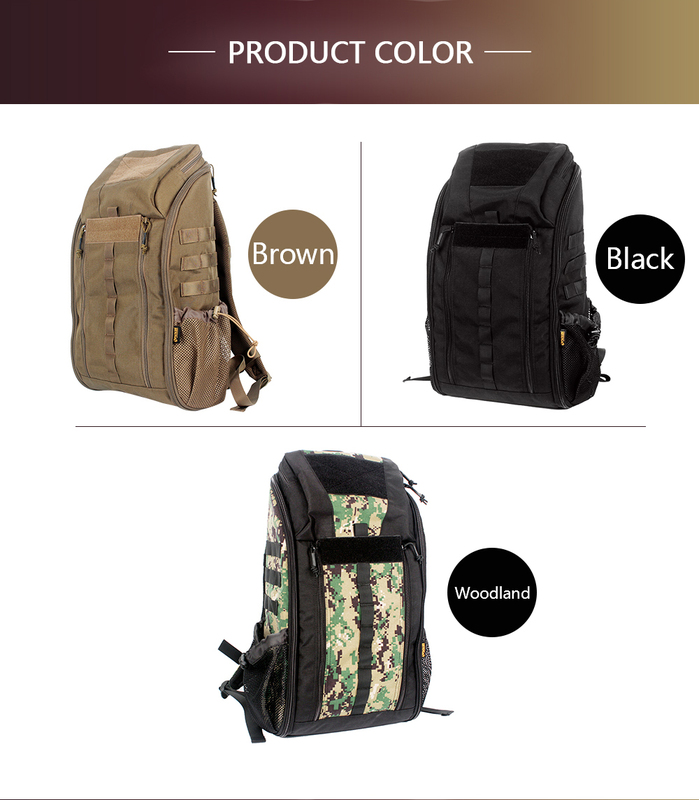 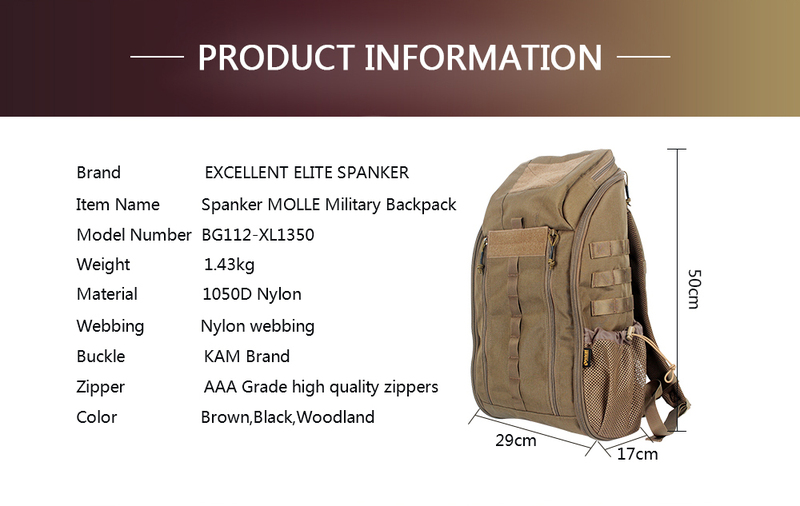 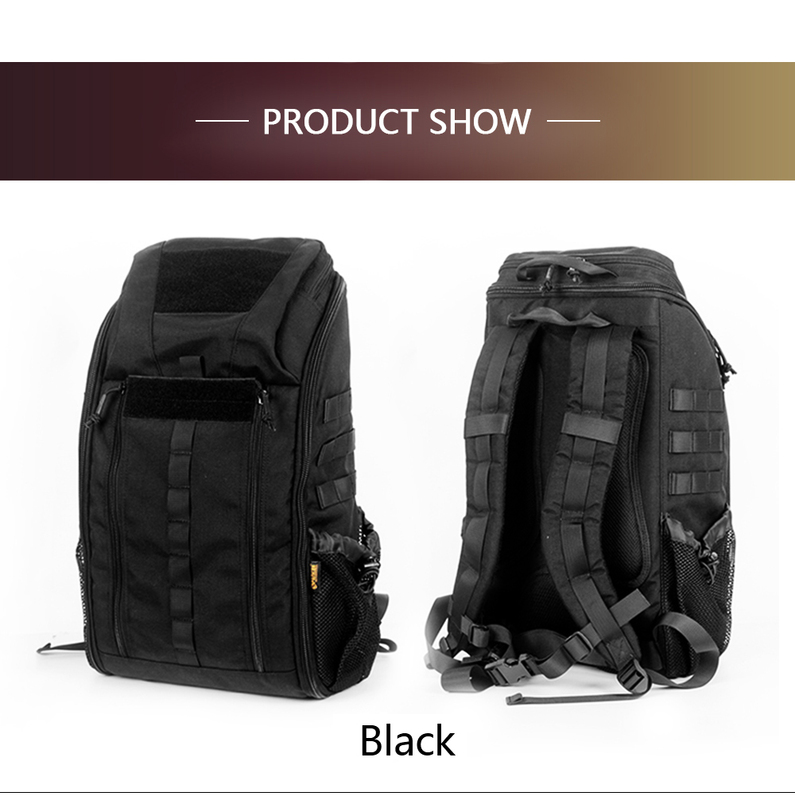 Suitable for many outdoor activities, can be used as medical or gun backpack. 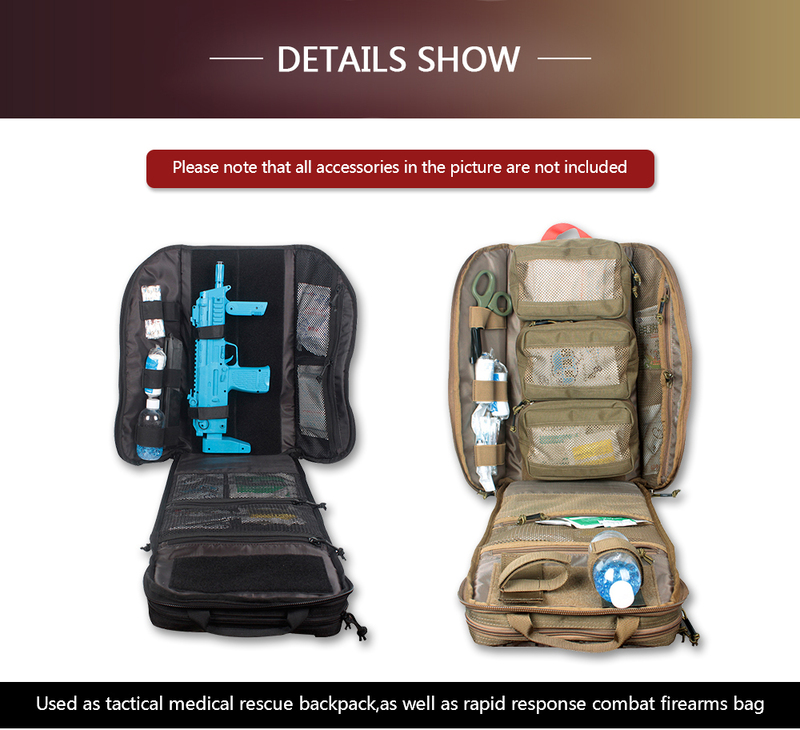 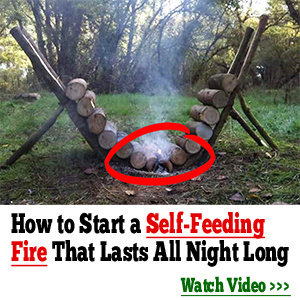 Please note: all accessories in the picture are not included and are in the photo for demonstration purposes only.